The generosity of members and friends enables Adkins Arboretum to create forward-thinking programs that support its vision and dedication to promoting the conservation and restoration of the Chesapeake Bay region's native landscapes. Your gift to the Annual Fund supports the ongoing operations of the Arboretum and the programs that teach and demonstrate stewardship of our land. Click the "Donate Now" link below to contribute online, or contact Kellen McCluskey, Development Assistant, at 410-634-2847, ext. 34 or kmccluskey@adkinsarboretum.org. Membership offers a full array of special benefits while supporting the Arboretum's operations and education programs focused on the conservation of the Chesapeake Bay’s natural heritage. Supporting the Arboretum's mission has never been easier! Amazon Smile, an initiative of amazon.com, is a simple and automatic way to give to the Arboretum every time you shop, at no cost to you. Simply visit smile.amazon.com, log in with your Amazon account, and select the Arboretum as the organization you wish to support. Every time you make a purchase, Amazon will donate a portion of your total to the Arboretum. The Arboretum Tribute Program provides an opportunity to make a meaningful gift that will serve as an enduring tribute in honor or memory of family or friends. Remember special occasions such as an anniversary, birthday, graduation, or retirement with a special tribute gift to the Arboretum. All tribute gifts support the Arboretum's mission to promote the conservation and restoration of the Chesapeake Bay region's native landscapes through education, research, cultural, and recreational programs. All gifts are tax-deductible. 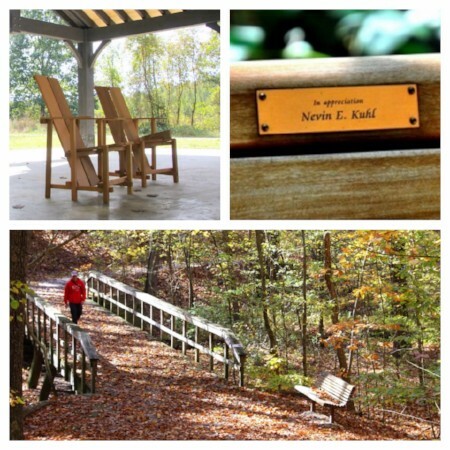 Tribute benches or Wave Hill chairs can be named for honored or memorialized individuals with an engraved plaque. The Arboretum will provide the donor with a choice of locations for placement of the bench. Please contact Kellen McCluskey to discuss the levels of giving that support a tribute bench or chair. Arboretum staff is pleased to work with you to create a meaningful and enduring tribute to your family or friends. Tribute donations may be used to support a particular program or initiative, such as a specific garden or a program. Please contact Kellen McCluskey to discuss the levels of giving that support a custom tribute gift. Donors to the Tribute Program are recognized in the Arboretum's annual report and recorded in the Tribute Book, available for viewing in the Visitor’s Center. A card acknowledging the donation will be sent to the honored individual or family of the memorialized individual, without reference to the size of the gift. 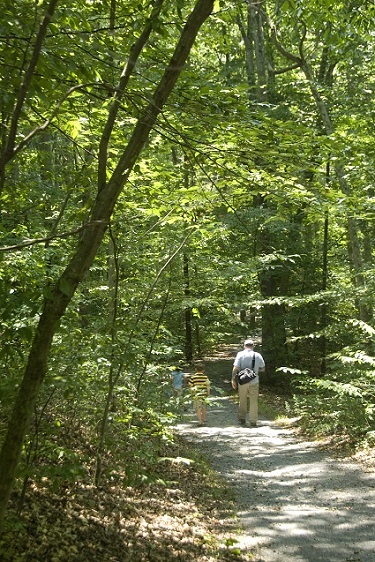 Tribute or memorial contributions may be made by phone or by mailing a check to the Arboretum. Please contact Kellen McCluskey at 410-634-2847, ext. 34 or kmccluskey@adkinsarboretum.org for more information about creating a special tribute gift for your loved one.